This is part 5 in a series exploring Gerald Rau's book Mapping the Origins Debate. For other posts in the series, click a number: 1, 2, 3, 4, 6, 7, 8. To be taken seriously, any model of origins must credibly answer the question, How did the various species of life arise? Different models, of course, answer differently. There even are differences among the evolutionary models. For example, Charles Darwin in On the Origin of Species, posited the idea of the gradual development of species (gradualism)--an idea now discounted by most evolutionary scientists as a primary or single explanation. In positing gradualism, Darwin drew on Charles Lyell's idea of uniformitarianism, relying on evidence from body structure (morphology) and theorizing that the primary mechanisms for gradual development of species were natural selection (survival of the fittest) and mutation. Today, evolutionary scientists largely reject gradualism as a primary explanation for the origin of species (a process referred to as speciation). Rau helpfully presents several lines of evidence that run contrary to gradualism, pointing instead to others mechanisms for speciation. One such line of evidence is the appearance and disappearance of species within single layers of fossils, with little development of those species within the layers (a phenomenon referred to as stasis). Another line of evidence is the sharp boundaries between fossil layers with significant, often abrupt, changes within similar types of species from one layer to another (a phenomenon referred to as saltation). 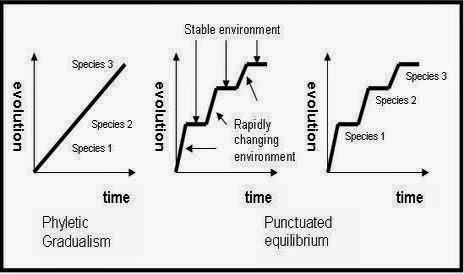 Together, stasis and saltation provide evidence of what scientists refer to as punctuated equilibrium (see chart below) - a viewpoint in sharp contrast with Darwin's gradualism. 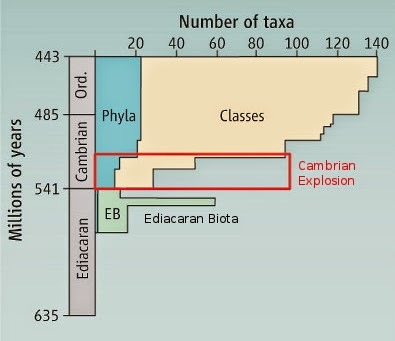 During relatively brief periods of time geologically, most of the extant animal phyla appear for the first time in the fossil record, along with many other animal phyla that are now extinct. Many scientists have looked for transitional forms between the various phyla or between them and the few soft-bodied invertebrates present in the lower strata, but so far no clear transitional forms have been found (p106). A related issue is how fossils are dated. The current method is to use radiometric dating to determine the age of the strata in which the fossils are found. This method is deemed highly inaccurate by young earth creationists, given a prior belief in a recent creation. As we've pointed out frequently in this series, one's presuppositions, which often are faith-based, play a large role in both choosing the evidence to consider and then how to interpret that evidence. Creationists often attack evolutionists by seeking to expose the weaknesses in Darwin's gradualism. But as noted above, evolutionists have largely abandoned gradualism as an explanation for the development of new species (speciation). However, evolutionists continue to point to evidence that in some cases mutations do bring about positive evolutionary change within species. As Rau notes, evolutionists now point to multiple lines of evidence for speciation, relying largely on molecular biology (genetics). Unfortunately, popular literature and high school science textbooks rarely present this evidence (which is highly complex--see Rau's book for a helpful summary). Thus the evidence is not well known and little understood--a significant part of the problem in the ongoing origins debate since it's difficult to be knowledgeable concerning the details of the opposing side's viewpoint. 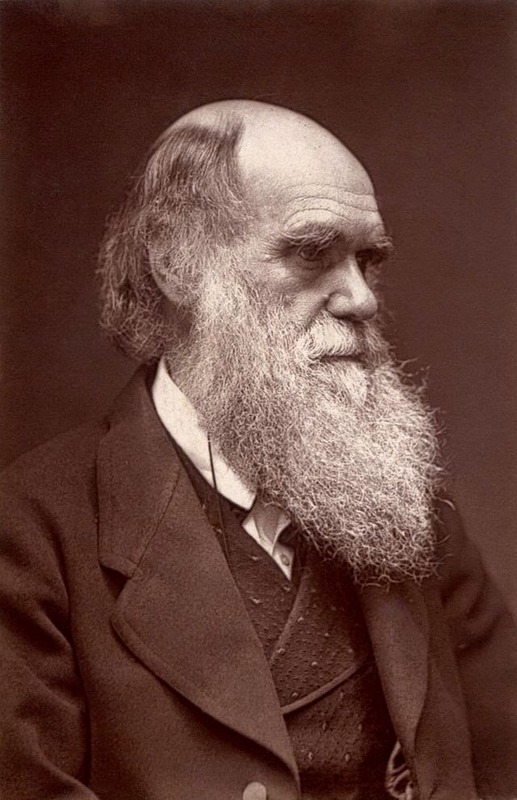 Darwinism: holding to Darwin's theory of gradualism. Neo-Darwinism: embracing the idea that development of species was rapid and saltational. Theistic evolution: allowing a place for the supernatural in speciation with varying concepts of the nature/timing of supernatural interventions. Neo-Darwinism is now the dominant approach among scientists, though this approach is in a state of flux, largely in how it explains the mechanisms for rapid speciation. Determining mechanisms is a challenge since currently there is little conclusive evidence (though new lines of evidence are arising). Given this flux, creationists are well advised to stay up to date on developments within evolutionary theory so their critiques factor in current evidence/explanations, rather than addressing outmoded ones already rejected by evolutionists. Of course, the same point can be made about the need for evolutionists to stay current with the various creationist models. While strictly creationist models accept the idea of micro-evolution (evolutionary change within species), they typically reject the idea that one specie could arise from another. Given this viewpoint, creationists tend to emphasize certain lines of scientific evidence that often is minimized or entirely overlooked by evolutionists--issues like the limits of selection, the deleterious nature of mutations and saltations in the fossil record (p126). What evolutionists see as evidence of common descent, creationist tend to see as evidence of common design. What creationists emphasize as fundamental, evolutionists tend to discount as mere anomalies. Thus there is sharp disagreement with respect to how new species (or, for creationists, biblical "kinds") arose. Because of this disagreement, "the two positions completely talk past one another on a number of issues" (p126). This was seen in the recent debate between Bill Nye (the "science guy") and Ken Ham (the young earth creationist). To one extent or another, proponents of each model tend to see what they expect to see. That is how strong presuppositions and faith commitments are. We all would do well to acknowledge that and be a bit more self-critical and have the humility to acknowledge that there is much that we simply do not know. Also, it would be helpful if all sides in the debate would take time to understand what the other sides actually believe before critiquing them. Rau's book is a helpful resource in seeking that understanding. Next time we'll look at the origin of humans.